On Wednesday I got a darker line on the FRER. Since then I have tested one more time and again got a dark line. I could happily test daily but it would cost me a fortune and wouldn’t really achieve anything as I have an entire box of positive pregnancy tests which attest to the fact that a BFP doesn’t necessarily result in a baby. So I’m currently just trying to get from one day to the next without going insane. I’ll be a whole five weeks tomorrow. It sounds so early. Some women don’t even know they’re pregnant until after now but I got a faint positive at 3w4d so I feel like I’ve known for ages already. 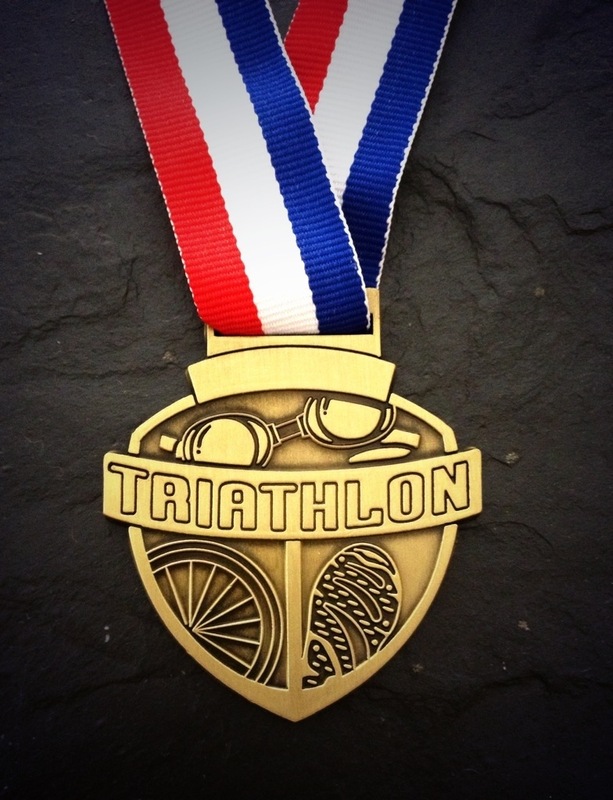 If we manage to get to next weekend I’ll make an appointment with the consultant for an early scan. I really want to know how things are progressing but I’d like to avoid an inconclusive scan if possible so Im thinking a scan at around 7 weeks (which currently feels like a lifetime away) would probably be a good time to aim for. The biggest problem I’m finding at the moment is that I’m constantly trying to reassure myself by symptom spotting when nothing I feel could ever be reassuring. I’ve been pregnant four times before and I’ve experienced a whole textbook of pregnancy symptoms. The most ‘pregnant’ I’ve ever felt was at Christmas when there wasn’t even a proper embryo, just a blighted ovum and molar pregnancy sending by hCG skyrocketing, so there is nothing I can do to alleviate my fears. All I can do is remind myself that a positive test is the first step and that even after four losses, the statistics are on our side. They’re getting darker! 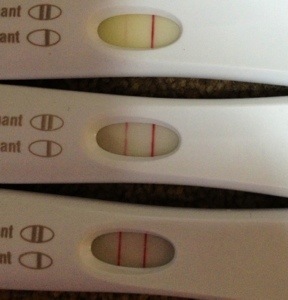 This picture shows tests from 12dpo, 14dpo and 16dpo and the line has definitely got gradually darker. I also haven’t had anything which I’d call bleeding for 24 hours. I’m certainly not hopeful but we’re not out of the game yet. This is this morning’s HPT. I was expecting a BFN or at least a faint BFP but this looks pretty strong. Unfortunately I’m still spotting. It’s lighter than yesterday afternoon but its not helping me feel hopeful. For now I’ll just keep waiting and will see what happens. Thank you everyone for your support. Sorry for the constant updates but I’m going a little insane and need an outlet. Despite our problems in the bedroom this cycle it appears that we have caught the egg for the fifth time. 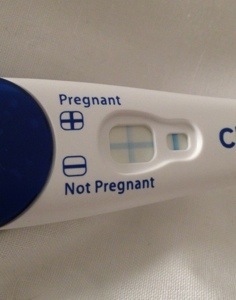 I did a test on Saturday (12DPO) and it was a bit faint which had my mind spinning with fears of another chemical pregnancy but today’s is looking stronger so at least for today we are pregnant again. Like her I don’t know how to feel now. In my mind a BFP means another miscarriage, I don’t have thoughts of pregnant bellies or babies I’m just wondering how far I’ll get this time. Will this all be over by the weekend with me being embarrassed about feeling even the smallest bit of excitement that this might work? Or will there be another distressing ultrasound with another D&C? Will the molar pregnancy reappear? Who knows. I just know that I want this to work out so badly I can’t even bring myself to hope. At the start of last week i discovered that pregnancy #4 was pretty much a non-starter and doomed to failure. Thankfully (yes i am actually thankful for this small mercy) my period came pretty quickly and although it wasn’t a pleasant experience it only lasted a few days and I’m now, at least physically, pretty much back to normal. Unfortunately, my mind and soul are not so quickly healed. I have absolutely no idea what to do with myself. I find myself googling topics like “how to tell your boss you can’t cope” and “when will I feel normal again”. I feel like I should be doing something to try to fix myself but I have no idea what to do so I’m basically going through the motions of each day, going to work, and hoping that soon I’ll feel less lost and out of control and in the meantime I’m hoping I won’t totally screw up my career or relationships. Last week I had a little bit of a melt down at work when I felt like my boss was attacking me for an option I had on a mutual project and I ended up crying. In justification I was in full on hormone drop mode (I hate that I have to go through the ‘baby blues’ just to get my hCG back to normal levels) and within 20 mins of being in the office two co-workers had announced their pregnancies with much cooing and excitement in the office! I wish that I could just tell everyone in the office so they wouldn’t think I was the strange girl who cries in the toilets and won’t look at pregnancy scan pictures. In trying to get through last week without breaking down on everyone I know, I’ve been reading stories of others who’ve been through similar recurrently losses. An article in the Independent from 2009 really resonated so I wanted to share some excerpts. It’s written by Kate Evans and is titled “Miscarriage: The Loneliest Grief of all”. I’m writing on my phone so I can’t add a link but the article is definitely worth reading. On wanting to believe each new pregnancy will work: It surprises me how surprised I am. This is the sixth baby we will have lost; you would think that I would be used to it by now. But maybe it’s not surprising that I had to believe in this baby, as though by investing in it some hope, and some love, I could will it into being. On the depression felt after a miscarriage: I have never known depression like the cloud that descends every time I lose a baby. I can compare it with the death of a close friend and I can honestly say that it’s worse. When a friend of mine died suddenly, we viewed the body, we buried him and we were able to say goodbye. I had the company of others who were as grief-stricken as I was. With a miscarriage, I’m left battling through the layers of euphemism to even recognise that I have been bereaved. What is this that has happened? “Pregnancy loss”? The word “baby” was never mentioned by the staff in the Early Pregnancy Advisory Unit. When the scan revealed that my baby was no longer viable, I was referred for an operation with the horrendous name of “Evacuation of Retained Products of Conception”. My child, described as clinical waste. On the loneliness of suffering miscarriage: When a friend dies, you can seek solace in the company of other mourners. Miscarriage, by contrast is an entirely private grief. “How are you?” a friend will ask, in a conversational tone, and I wonder, do they really want to know the blackness of my mood? On how difficult recurrent miscarriage can be (Having just suffered my 4th miscarriage I found this bit particularly powerful): Every time it happens, I find it harder to struggle through, and yet I fear that, for my friends, this drama has become repetitive and boring. With each miscarriage I need help more, yet I feel I can ask for it less.